Info Born in Paducah, Kentucky, Jeffrey L. McWaters was the son of a plant superintendent and a school teacher. It was in Kentucky where Jeff learned the conservative principles and work ethic that would become the foundation for his future success in business. Time spent on the high school football team as a “Tilghman Tornado” greatly influenced his work ethic. In 1974, Jeff and the Tornados were Kentucky state champs! After high school, Jeff attended Paducah Community College before going on to the University of Kentucky to study accounting and hopefully walk on the football team as a wide receiver. Unfortunately Jeff’s college football career as a Wildcat was stopped short; he made the team as a walk-on but injured his knee, never to play in an SEC game. At the University of Kentucky, Jeff applied the tough work ethic instilled by his parents working his way through college. Jeff earned tuition money with jobs at J.C. Penny and Campbell’s Sporting Goods stores, spending whatever free time he had left with his high school sweetheart, Cindy Lamb. As an accounting graduate, Jeff was hired by Ernst and Young, one of the largest accounting firms in the country. Next he worked for “Hospital Affiliates International,” a subsidiary of CIGNA, as an operational audit manager, auditing health plans and hospitals throughout the United States. Jeff soon discovered his passion for health care. Jeff married Cindy in 1980, and he and his new bride spent most of the early 80’s being relocated time and again by CIGNA, primarily in the southeast. Moving quickly up the corporate ladder, Jeff became the Senior Vice President of Managed Care for CIGNA and was responsible for Medicare operations and health plans in eight mid-Atlantic states, representing revenue in excess of $1.5 billion. Finally in 1990 Jeff, Cindy, and their two young children Megan and Hunter, moved as a family for the last time – this time to Virginia Beach, Virginia. In Virginia Beach, Jeff became the president and CEO of “Value Options,” a behavioral health-care company serving three million people nationwide. Today, that company is in excess of $1 billion in revenue. In 1994, Jeff tried his hand at starting his own a health-care start-up company. He wrote a business plan at his kitchen table for what would eventually become a Fortune 500 company, AMERIGROUP CORPORATION. Jeff began AMERIGROUP in 1994 with a bold idea: he wanted to build a business focused solely on meeting the health-care needs of low-income families enrolled in publicly funded programs such as Medicaid. His vision ran directly counter to the day’s conventional wisdom, which held that the private sector could not work effectively with government to address the health-care problems that confront poor Americans. By emphasizing preventive medical care that helps AMERIGROUP members stay healthier and keeps their medical costs lower, AMERIGROUP today brings health-care services to more than 1.7 million people nationwide. Fortune magazine currently lists AMERIGROUP as the 509th largest public company in America. 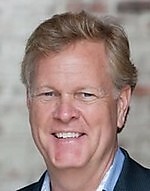 Jeff served as the Company’s CEO from its founding until his retirement in August 2007 and continued to serve as Chairman of the Board until May 2008. Jeff’s leadership achievements have been widely recognized. Forbes magazine has praised AMERIGROUP twice as one of America’s “Best Managed Companies.” Jeff was named one of the 100 most influential Americans in healthcare by Modern Healthcare magazine, cited as “Virginia Entrepreneur of the Year,” and inducted into the University of Kentucky School of Business Hall of Fame. He served on the Board of Directors of America’s Health Insurance Plans (AHIP) and on the Publicly Listed Companies Advisory Board of the New York Stock Exchange. Active in civic affairs, Jeff served as Vice Rector on the Board of Visitors of the College of William and Mary. He also has an honorary law degree from Regent University. The award he was the most honored to receive was when he was recently selected into the Hampton Roads Business Hall of Fame. Jeff has been active in government policy throughout his career as a health-care professional. He has testified before the National Governors Association, various state legislatures, governors, the United States House, and the U.S. Senate. He was part of the Presidential Healthcare Transition Team in 2004, working closely to help push for prescription drugs for seniors on Medicare. Not only has he been recognized for his expertise on health care, he knows about creating jobs. AMERIGROUP has created over 4,600 jobs nationally, 1,700 of which were right here in Virginia Beach. Additionally, Jeff was successful in fighting to keep those same jobs here, resisting attempts to send them overseas. Jeff knows about the service industry and creating jobs on a smaller scale too. As a part-owner of a restaurant in Virginia Beach, he helped create over 100 more jobs. Both Jeff and Cindy were instrumental in the founding of Trinity Church, located in Virginia Beach, where Jeff currently serves as an elder. When he is not out on the campaign trail, Jeff enjoys hunting, fishing, or playing percussion in a band called “Guava Jam.” You might catch Guava Jam at various festivals around town or community charity events, including the Virginia Beach Neptune Festival and the Physicians for Peace Fall Gala. Jeff and Cindy currently reside in Virginia Beach with their son Hunter, a Virginia Tech graduate now in the music industry. Their daughter Megan, who is a graduate of UVA, lives nearby in Williamsburg with her husband David and son Noah. David is working towards his MBA from the College of William and Mary. Jeff’s parents both live in Virginia Beach as does Cindy’s mom. It is Jeff’s love for his family and friends that motivates him to run for office and serve his fellow citizens.